Ensuring your workforce is motivated is vital to the long-term success of any company; this is especially true for businesses in the manufacturing sector with the industry’s productivity levels consistently dropping over the last few years. We will take a look at just why it is so important for manufacturing companies to have a motivated workforce and give you some tips on how you can get the most out of your employees. Why Is It Important to Have a Motivated Workforce? In any manufacturing company, there is a heavy reliance on ensuring that your workforce are skilled and productive. Whilst having a skilled pool of employees carrying out work is obviously important; your business can suffer if your employees aren’t fully motivated to produce the best work they possibly can. Pairing these two extremely important qualities together can have a huge effect on how efficiently your business operates and even how much profit your business is making. Lower Levels of Staff Turnover – We are living proof of this particular point, as we currently have 53 members of staff who have celebrated 25 years of continuous service with our company since 1945 and of our current 30 employees half have achieved this milestone. In manufacturing, it’s absolutely vital that you keep hold of your most skilled employees as they are usually in short supply. Increased Productivity – This goes without saying, but a motivated workforce is usually a productive one. The benefits a productive workforce can bring to your business can even have a positive effect on your customers; consistently producing a large amount of quality products over a long period of time can lead to lowering your unit costs for your valued customers. Improved Product Quality & Customer Service – Going hand in hand with the point above, not only will a motivated workforce be productive, but they will be creating products of the very highest quality. Along with this, any customer-facing employees will provide fantastic customer service each time an existing or potential customer is in touch. Improve Company Reputation – If your employees have nothing but good things to say about your business, you’re sure to reap the rewards of this further down the line. Having a great company reputation is especially useful when you’re trying to recruit new employees into the business. News travels fast within the manufacturing industry, so if you are known as a good company to work for, you can rest assured you’ll get a whole host of highly skilled workers applying for any vacancies you advertise. It’s safe to say there are plenty of benefits to having a motivated workforce within your manufacturing company, but how do you actually motivate your employees? Encourage Personal Growth – Many companies see encouraging workers to upskill as a threat to their business, mainly because employers believe highly skilled workers are more likely to leave their company. This isn’t necessarily true, as employees are likely to favour your company if they are encouraged to grow professionally and given a clear progression path to follow within your business. Give Your Workers Autonomy – Whilst it can be difficult to give all workers the autonomy to organise their own schedule and workload throughout the day in manufacturing, this should be encouraged where possible. Having a strict and regimented schedule can sometimes alienate workers as they feel extremely restricted, especially if this type of working environment continues for a long period of time. Loosen the reigns and you’ll be sure to see a lot more collaboration and increased motivation to find new and better ways to do things. Communicate Effectively – Ensuring you communicate any important business information to your employees in the correct way is a fantastic, and pretty simple, way to motivate your employees. Keeping your workforce in the loop with any information that may affect them in the future and encouraging feedback on any changes makes your employees feel valued and listened to. Provide Incentives – This tip goes without saying, but if you offer your employees incentives, you’re sure to have a motivated workforce in next to no time. It’s also worth noting that providing incentives doesn’t always have to be expensive for a business You could offer incentives such as gift cards, a few extra paid days off or even a paid for staff meal if targets are met each year. Small gestures can go a long way with your employees and are definitely worth investing in if you’re looking to have a highly motivated workforce. Not a small change, but the managed introduction of flexible working can produce huge benefits both for productivity improvements and the health and wellbeing of employees and therefore the company. So there you have it, those are just some of our top tips to having a motivated workforce and the benefits it can bring to your business. 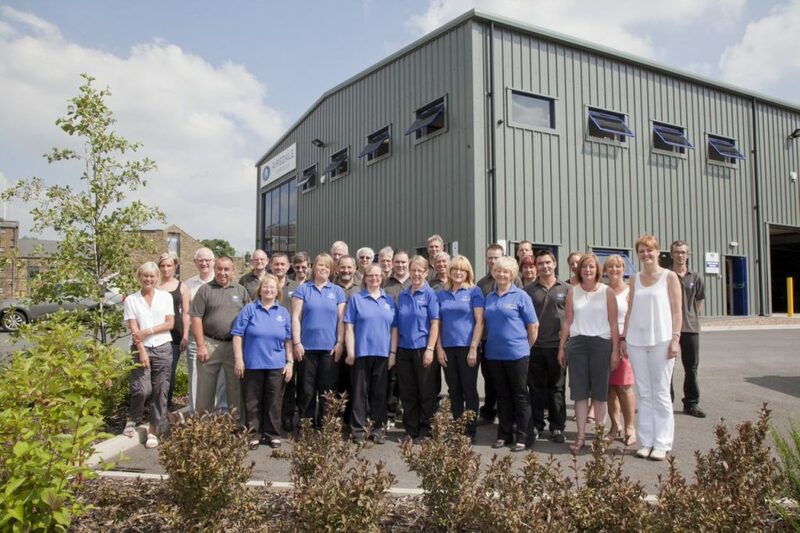 Here at Airedale Springs, we pride ourselves on ensuring all of our employees are as motivated as possible to guarantee that we are the spring manufacturer of choice for businesses throughout the UK.